If you were to ask many people to name a European City Break hot-spot, chances are that Lisbon would not get a mention amongst the likes of Paris, Rome and Barcelona, but that is just how the locals like it, and for those fortunate to spend a long weekend in this ancient city with a modern twist, they can enjoy a brief moment of living in Lisbon like a local. 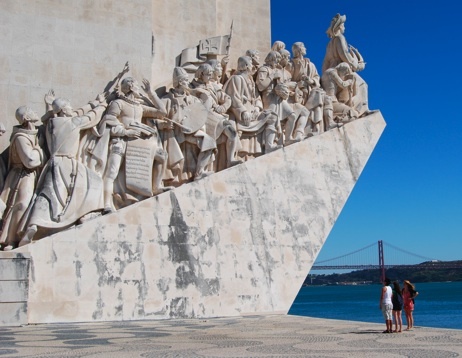 Lisbon is a place steeped in history and you can feel and see it almost everywhere you go. This is a place that is a spectacle of regal dazzling white masonry where you can step back in time, from the Medieval Castelo de Sao Jorge which overlooks the city to the charming cobbled streets of the Bairro Alto. The residents call themselves Alfacinhas which bizarrely means “Little Lettuces” but what it means is that they have soaked up and embraced different cultures from other countries and created a unique mix that can only be found in Lisbon. Features of living like a local would be a sweet tooth acquired from Arabic influences, a very British passion for the drink of Port, Spanish flavours in the kitchen and a distinctly Brazilian influenced hedonistic outlook on life. Lisboetas love their food and there is a healthy offering of local tavernas that provide the gastronomic heartbeat of the city and to blend in with the locals you should consider ordering one of their favourite dishes, Percebes which is Goose Barnacles that are normally washed down with generous amounts of ice cold Sagres Lager. If you prefer your dining a little more refined then a typical restaurant that is embracing the Michelin starred ideal of fine dining is a place called the Solar Dos Nunes where you can order Ameijoas a Alentejaro which is a clam and pork stew, being the Lisbon equivalent of a surf and turf meal. Fast food keeps the city well fed whilst on the move and a couple of typical dishes that you are likely to find for sale on the streets are hot Filadelfia , available from Brazilian sushi kiosks it is a rice cone stuffed with deep fried tuna, cream cheese and chilli. You can top that experience off with an ice cream dessert called Santini which is pistachio ice cream. Lisbon doesn’t pretend to be one the great shopping destinations of Europe and the locals generally prefer to bag a bargain rather than pay eye watering prices for designer labels. The real shopping magnet for locals are the local markets, many of which have been open for business for centuries. The main market is the Feira da Ladra which roughly translates as “The Thieves Market” but be assured they welcome all classes of people, who come to sell and trade a wide range of household goods and junk. If it is food you after, join the locals at the Ribeira Market where your gastronomic desires will surely be fulfilled with such a wide array of tastes on offer. The very fact that Lisbon is not on the main tourist radar for European destinations means that the culture and experiences you enjoy when visiting will make you feel like one of the locals rather than just another tourist, so what are you waiting for? This article was provided by Simon Dance of holiday rental marketplace www.housetrip.com. Simon is a freelance travel writer with a penchant for European culture. His articles mainly appear on travel blogs.